Need a POS System for your liquor store? BPA Retail Touch POS has all the features you need to keep your liquor store running as smooth as possible. The BPA Retail Touch POS software comes fully integrated with Inventory Tracking, Accounting, Payroll, Purchase Ordering, and much more! You will be able to fully manage your business effortlessly, all from your Liquor Store POS System. Worried about security? 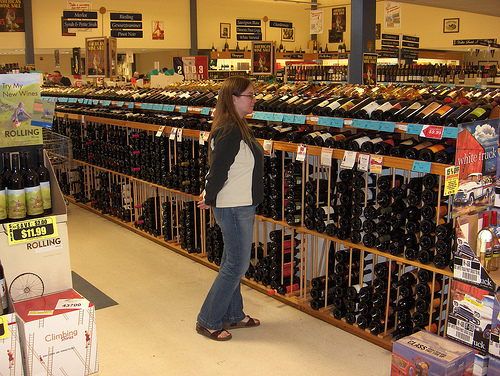 Your liquor store POS system will include safeguards to prevent employee theft. Also, our integrated credit card processing is PCI Compliant...keeping your system safe from credit card fraud and theft. We want to keep you informed on how well your business is performing at all times. So, we have included over 260 business reports covering all aspects of your liquor store...from Sales, to Inventory, and even Accounting reports. We have provided our systems to the retail industry for over 21 years. Feel free to try out our software by clicking on the download link below. If you have any questions about our POS Systems, feel free to give our Sales Staff a call at 801-336-3303. They will be more than happy to answer any questions you have.